It looks as if this Indian dhobi wallah is in real trouble for the quality of his work, and is making the ‘usual excuses’! 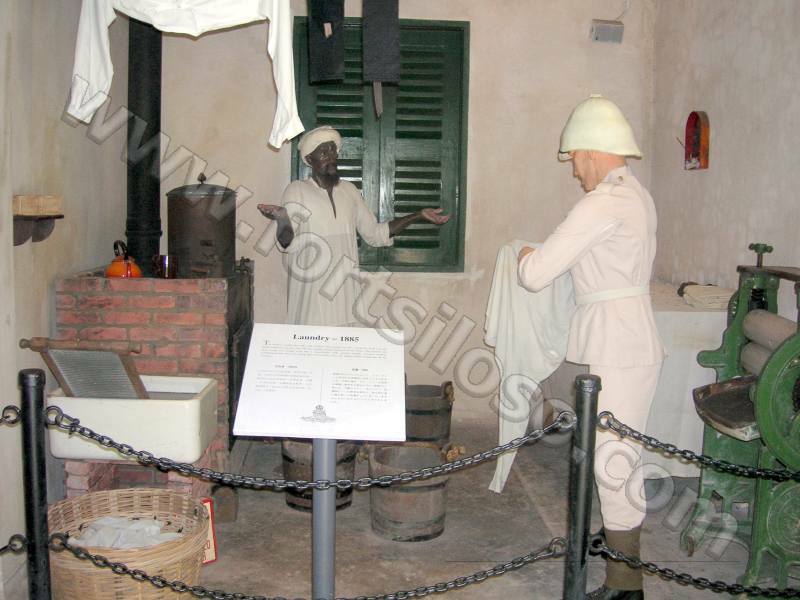 Laundry men were usually called ‘dhobi wallahs’ by soldiers of the British Army. This was from days of service in India. The word dhobi means to wash, and a wallah is a person. Dhobi Ghaut near Orchard Road in Singapore is named after the laundry facilities which were along the Sungei (river) Bras Basah which used to be there in days gone by. The sungei was later canalised and re-named the Stamford Canal. 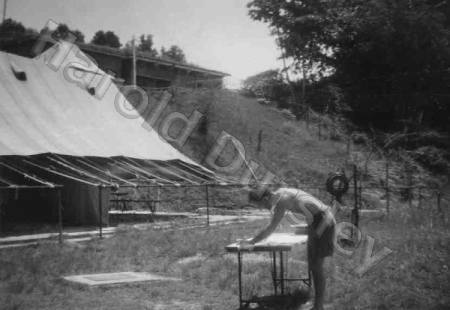 The photograph on the left shows a 1940s National Serviceman doing his dhobi at Fort Siloso. The tent on the left is the Dining Tent. At the top of the steep bank is Officers’ accommodation.